Faith Scheer has been teaching 1st and 2nd grades at CTL since the fall of 2003. In addition to teaching, she coaches volleyball in the fall and assists coaching softball in the spring. She received her bachelor of science degree in Elementary Education from Doctor Martin Luther College in 1993. She pursued a masters degree in Interdisciplinary Studies in Curriculum and Instruction from National Louis University and graduated in 2002. She began her teaching career at Faith Lutheran School in Antioch, IL. There she taught 1st grade for ten years before beginning her work at CTL. 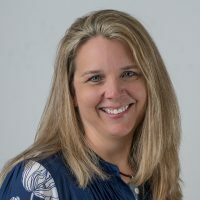 She is passionate about math and science in the classroom and loves to connect technology to teaching and learning. In social studies, she enjoys integrating multiculturalism with the mission of telling others about Jesus and his command to go into all the world.